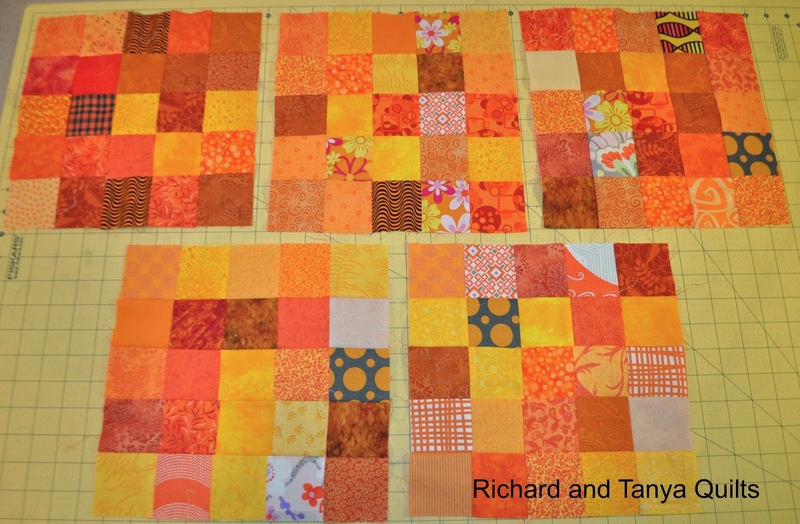 Richard and Tanya Quilts: The Orange and the Gray's! Sometimes a project just has to 'age' before it progresses. Rayon is what is used for linings. 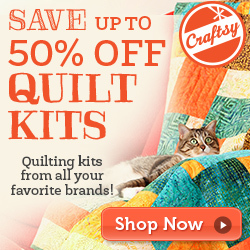 Maybe someone in your quild that makes clothing would be interested in it. Or even lining for purses. It does NOT like a hot iron!! 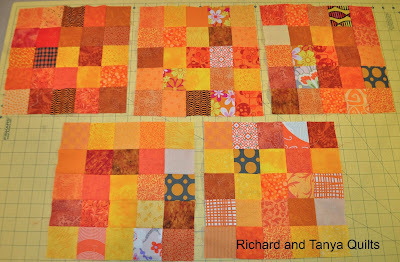 You gotta love orange in a quilt. 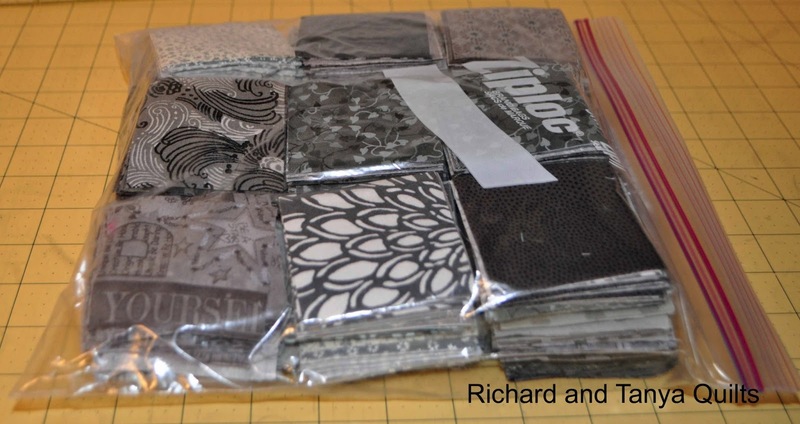 That's a very nice collection of fabrics! I have had zero luck with rayon. I don't even like clothes that I own with rayon. It seems to wrinkle, shrink, blah! It would make nice curtain or bag linings. 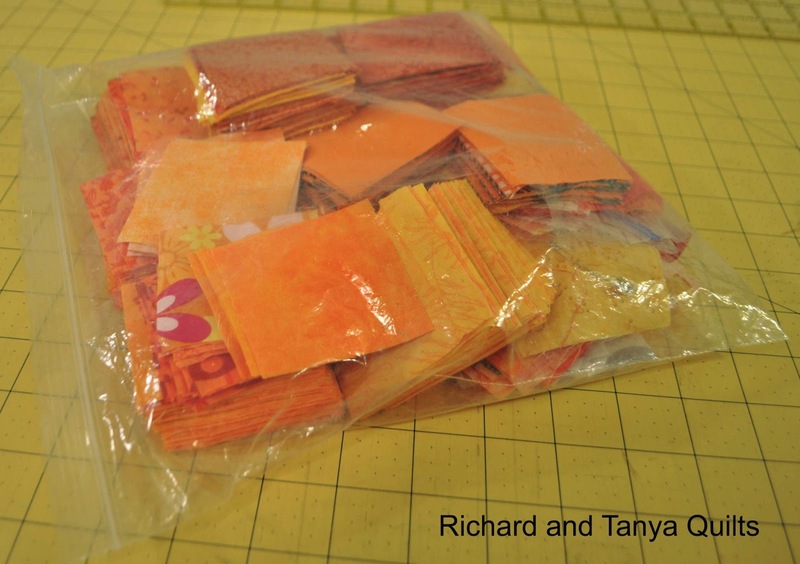 I love your orange and yellow pieces and quilts. 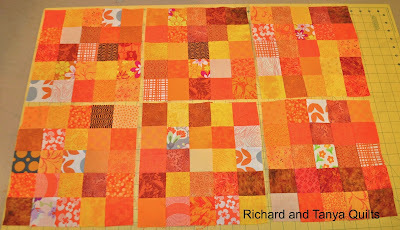 I struggel with the last rows in my orange/red/yellow BeeInMyBonnet quilt just now. In the meantime I have done a couple of barns with Farmer's Wife blocks. Orange and gray...one of my fav combos! 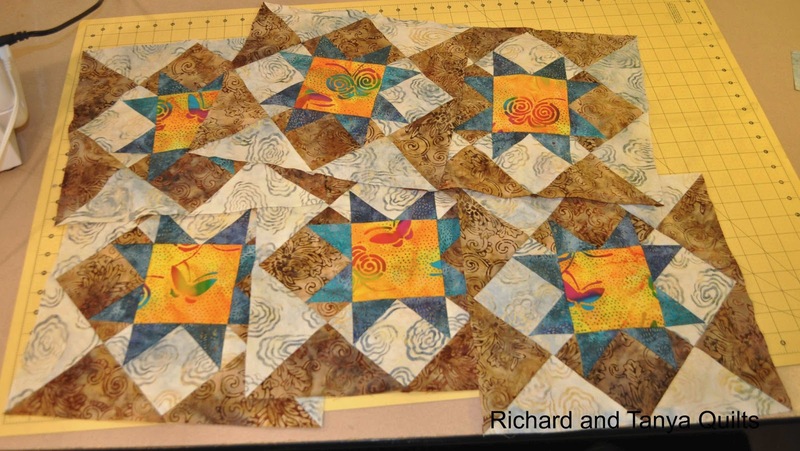 Rayon is not good for quilts. It doesn't wash the same, and it doesn't wear the same as cotton. It's great for clothing, though. Just be careful not to shrink it in the laundry. No hot water, no hot dryer, no hot iron. I love your batik blocks. That's going to be so pretty. I'm an orange lover as well. My hubby would love if I made him a blue and orange quilt. have no idea what it would look like to him as he is colour blind.